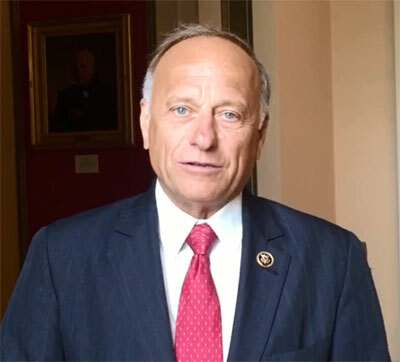 Republican Congressman Steve King says he suspects it is “not in the DNA” of Republican presidential candidate Donald Trump to apologize — and King suggests that could doom Trump’s campaign. This past weekend in Iowa, Trump complained about John McCain, who endured five years of torture as a prisoner of war in Vietnam. Trump said he likes “people that weren’t captured.” King notes McCain refused an offer of early release. On July 1, King praised Trump for his “scrappiness” in confronting the issue of illegal immigration. McCain has accused Trump of bringing out “the crazies” by focusing on the issue and Trump on Saturday was responding to that. King said he has some sympathy for Trump because he has taken political heat for his own controversial comments about immigrants. According to King, Trump surged to the top of national polls because he has taken on this controversial issue, but time will tell if Trump can remain popular. Chuck Laudner, King’s former chief of staff, is working as a consultant on Trump’s campaign.